In this podcast, Manny Coats talks about misspelling and how he is crushing it and how he is still crushing it with misspelling. When did Amazon rolled out a change in its Algorithm with regard to misspelling? How can I benefit from misspellings? I’m going to keep today’s podcast really short. I’ll be discussing misspellings, how I was crushing it, how I am still crushing it with misspellings. I want to talk about an algorithm change I discovered just a few days ago, it’s something that hit me just over a week ago and it did affect me to some extent. March 28th, Amazon had an algorithm change in regards to misspellings. I noticed some of the keywords phrases that I used that were typos and misspellings on my listings, had suddenly dropped. Where I was number 1 on the ranking, I was suddenly 50 or 60. If I was selling a bunny scratcher and somebody mistyped ‘bunny’, for example ‘bunni’. If I could be bidding on the word ‘bunni’, I’d be the only one popping up for that typo. Amazon would previously have shown the products that matches the typo and after that the corrected spelling version of that keyword. On April 1st I stopped ranking for a lot of my keywords. I went and did some research and found out that the algorithm changed. It was suddenly directly showing the corrected version of the spelling. I created a video showing me going through everything and how I have come up with the misspellings for all my keywords. 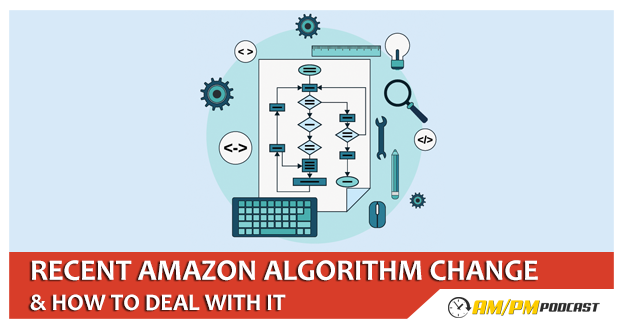 Even though the algorithm hit, there’s still a ton of keywords that doesn’t show up that way – Amazon hasn’t completely run it across their entire inventory. I now have to go through those old keywords and replace those ones that were removed. The video I created talks about how I find the misspellings, the percentages of misspellings for a specific keyword, example one keyword may be misspelled 75% of the time in one way, 25% misspelling of the keyword are in another way. I want to focus on the one that everybody is misspelling the most so I grab that and sometimes from the other misspellings as well. I show you all the details of what’s working and not working. I was making between $15,000 and $30,000 last month off of misspellings, typos. When I added these typos, my sales exploded. They’ve rebound it a bit now since I’ve added other spellings. I posted the video on the FBA High Rollers Facebook group, you can request to be added, that’s the only way you can see the video. I’m going to be posting more videos on a regular basis. If you like the video, please share it with other Amazon seller who may benefit from it!